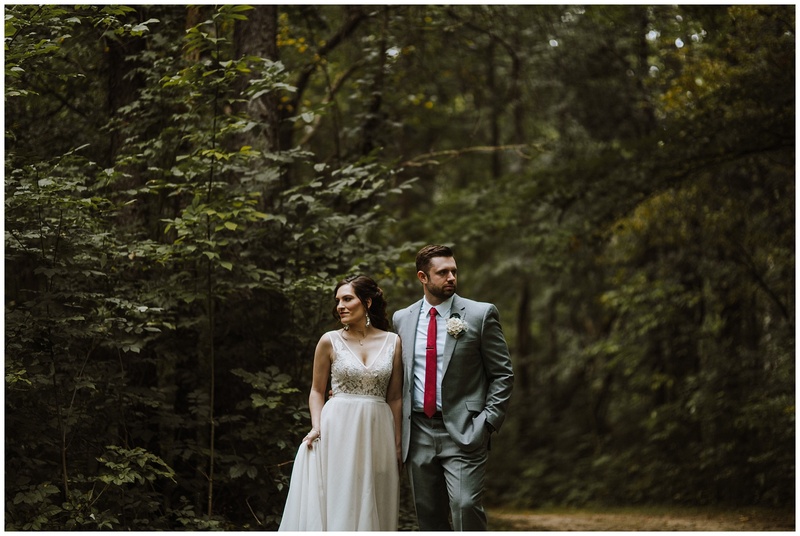 With the slow season approaching and my editing queue growing shorter, I am so excited to share more of what I’ve been working on this year. 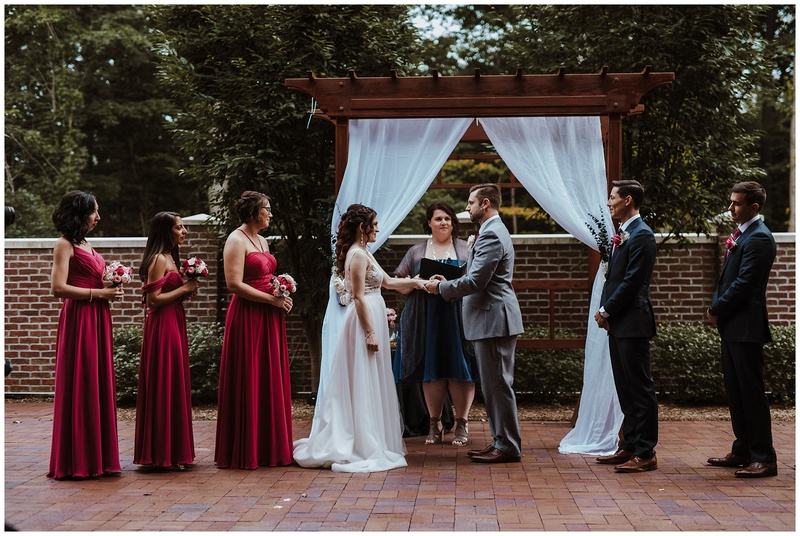 We’re going to start with fond memories of warmer days with a September wedding. 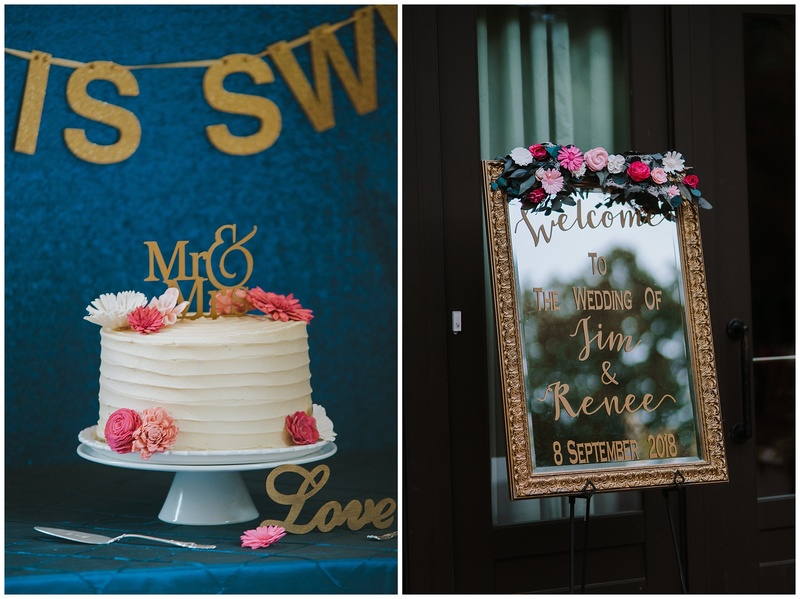 Renee & Jim meet while in college (at separate universities) and actually lived in Clawson for awhile (weird connections with clients always). 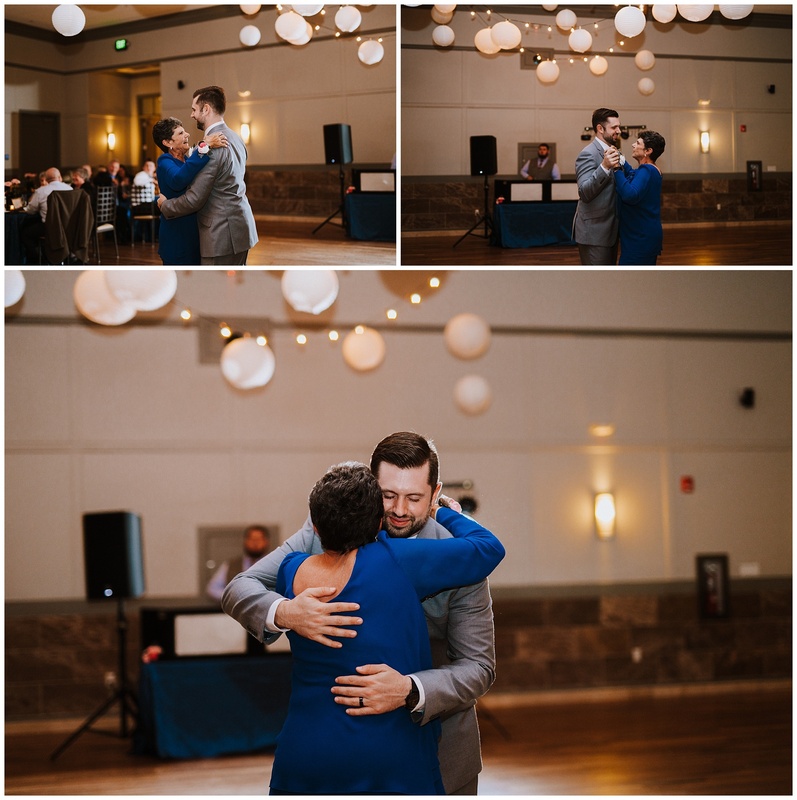 They dated and dated and dated and then moved down to South Carolina, then finally (big finally according to all the stories we heard from their families) Jim popped the question and now they’re married! 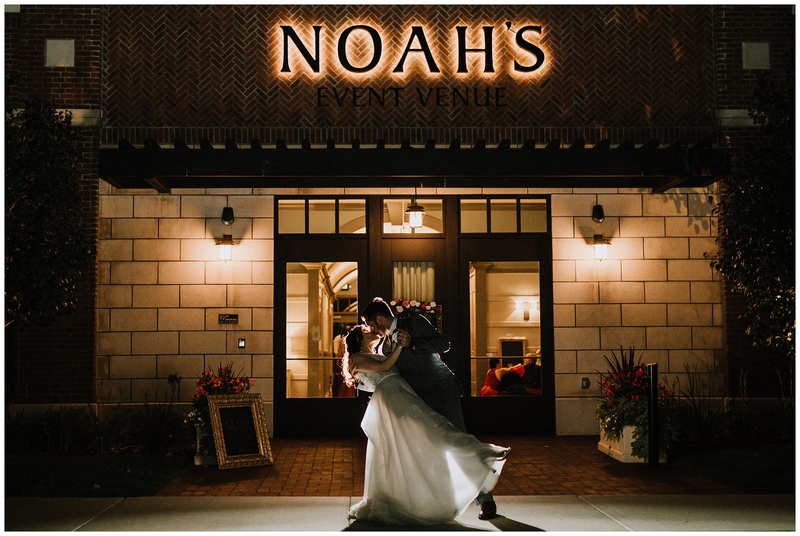 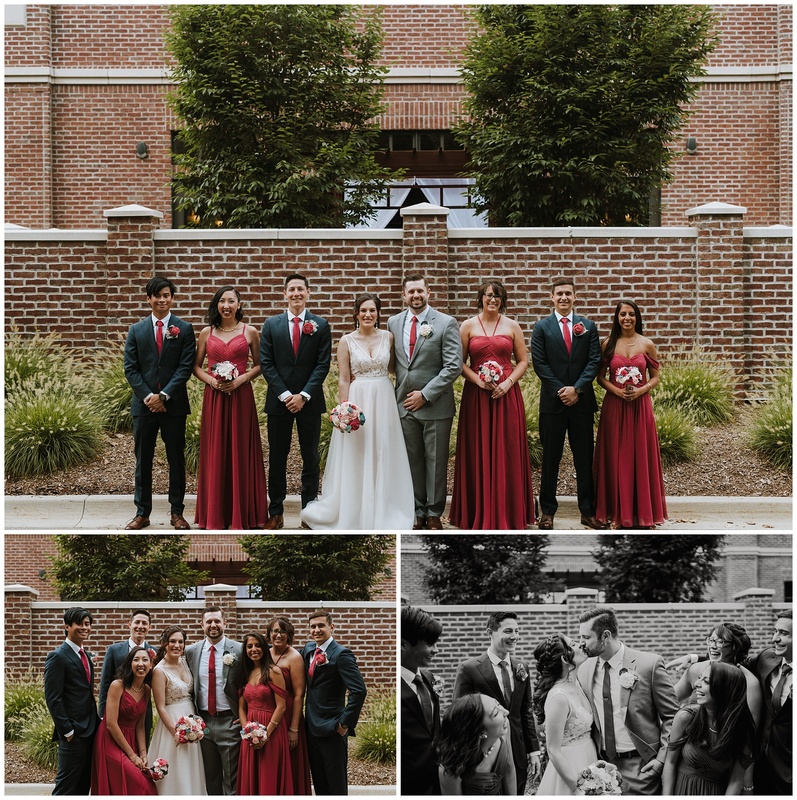 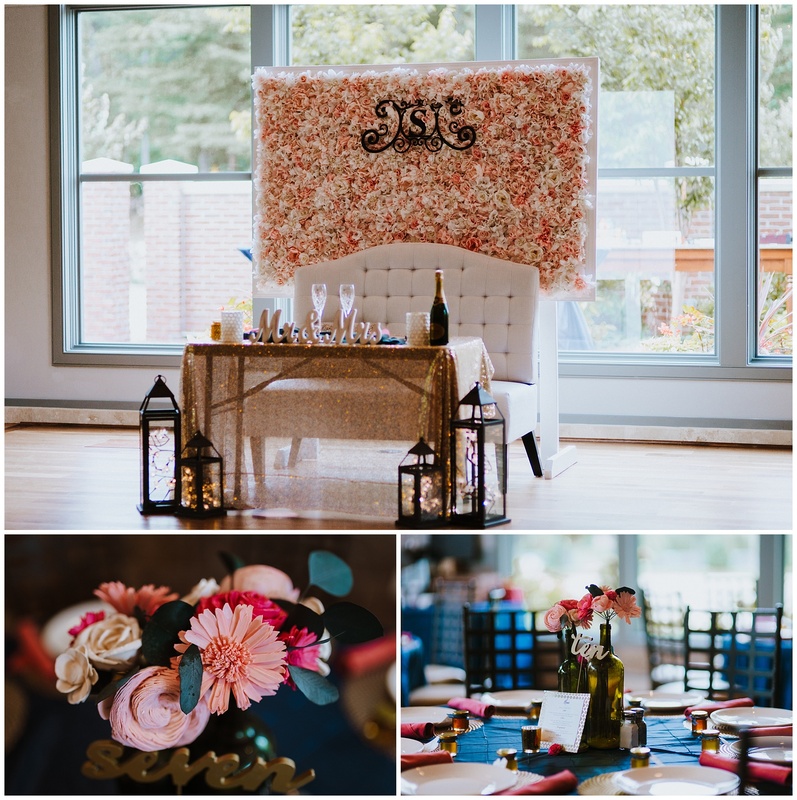 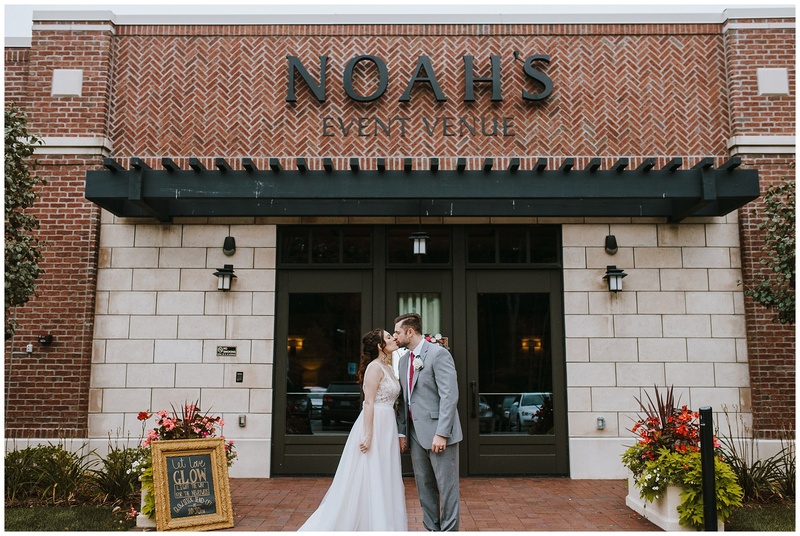 Their wedding was held at Noah’s Event Venue Auburn Hills which always is a pleasure to shoot in — and everything is all in one space! 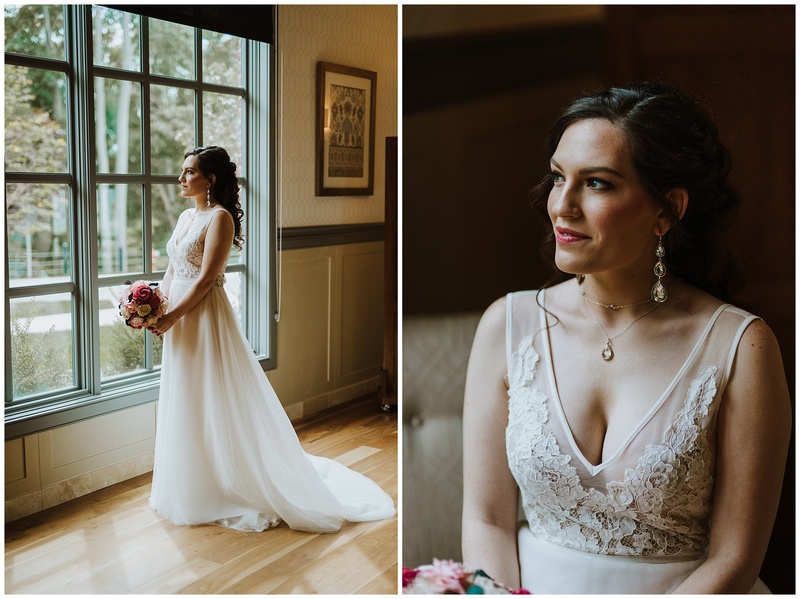 Renee, who is the sweetest person by the way, was one of the most stunning brides. 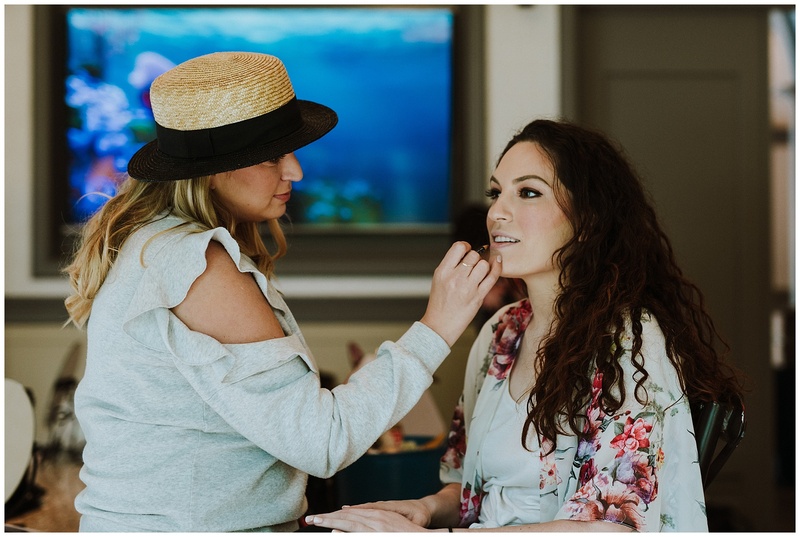 The team at The Makeup Loft did an amazing job on all of the ladies. 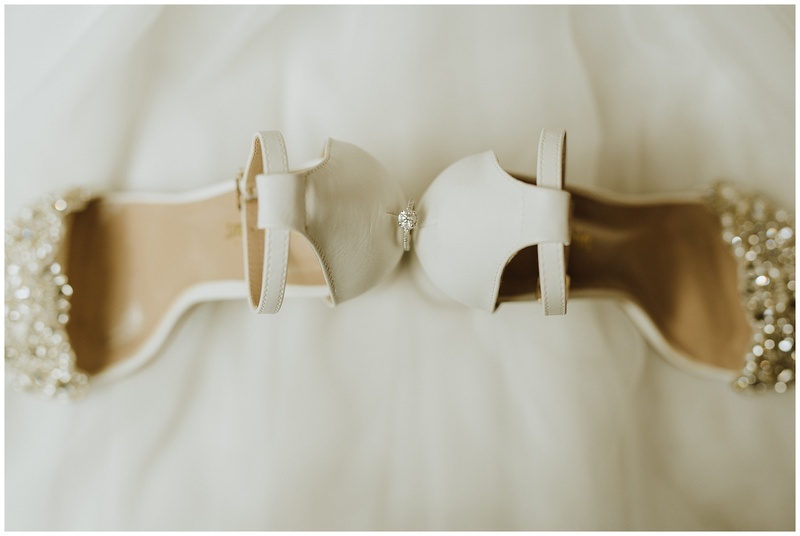 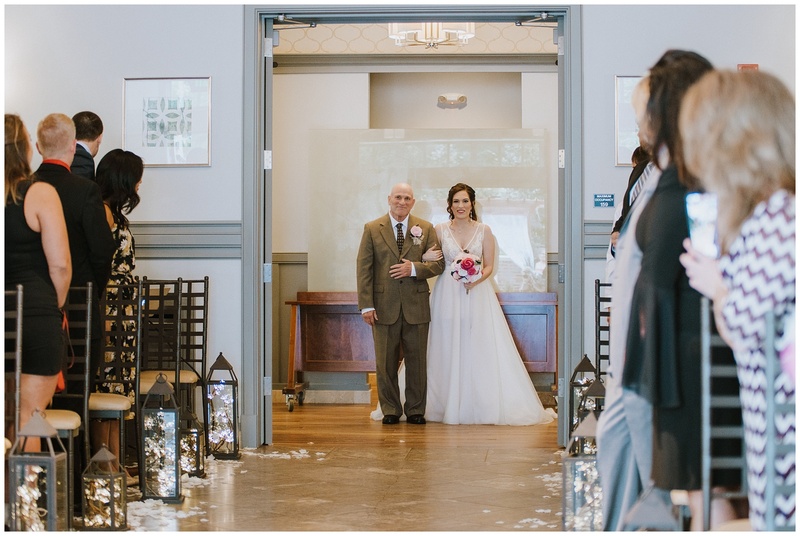 After getting ready in the bridal suites, Renee & Jim had their first look in the ceremony space. 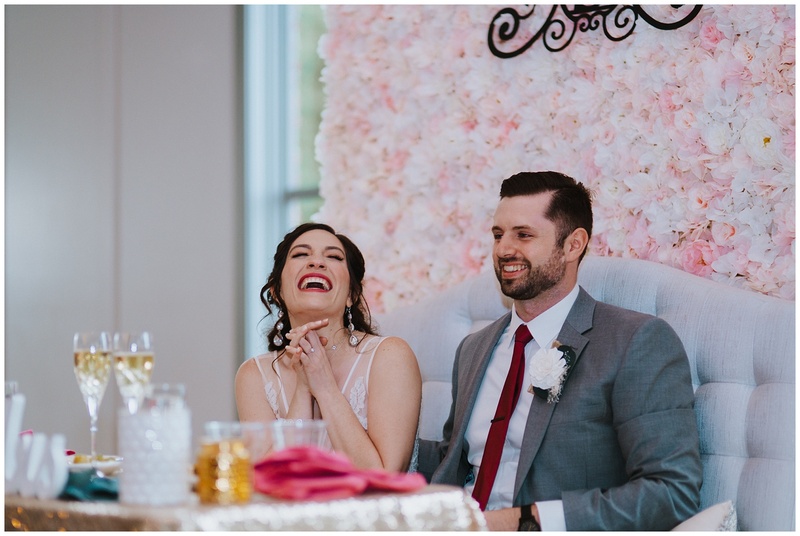 You could tell they were just SO excited to get married! 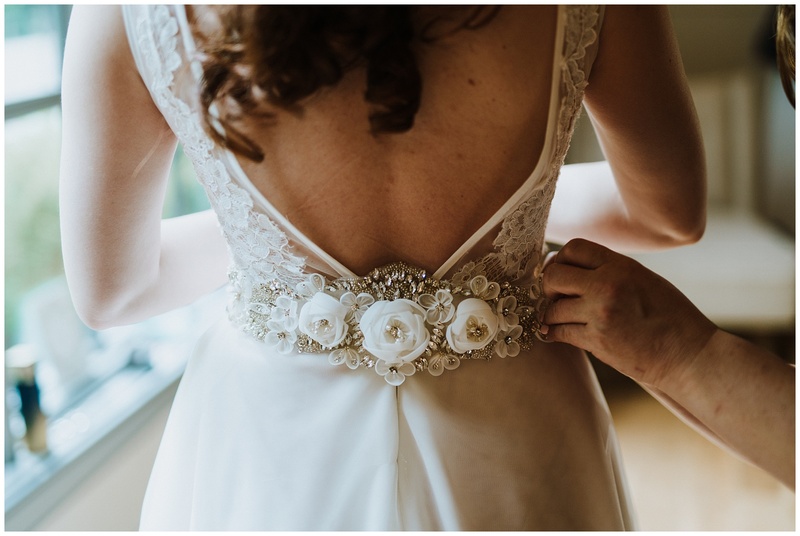 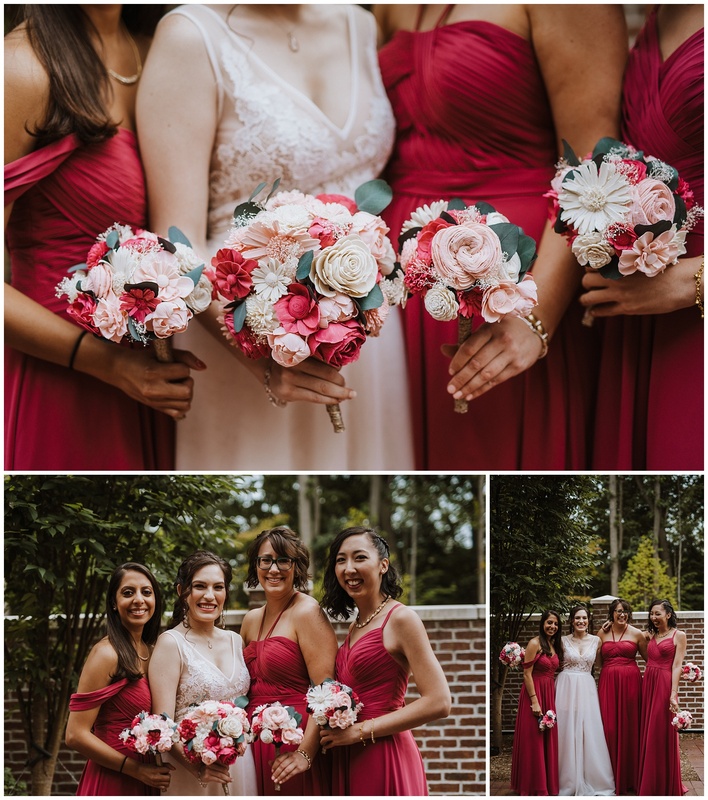 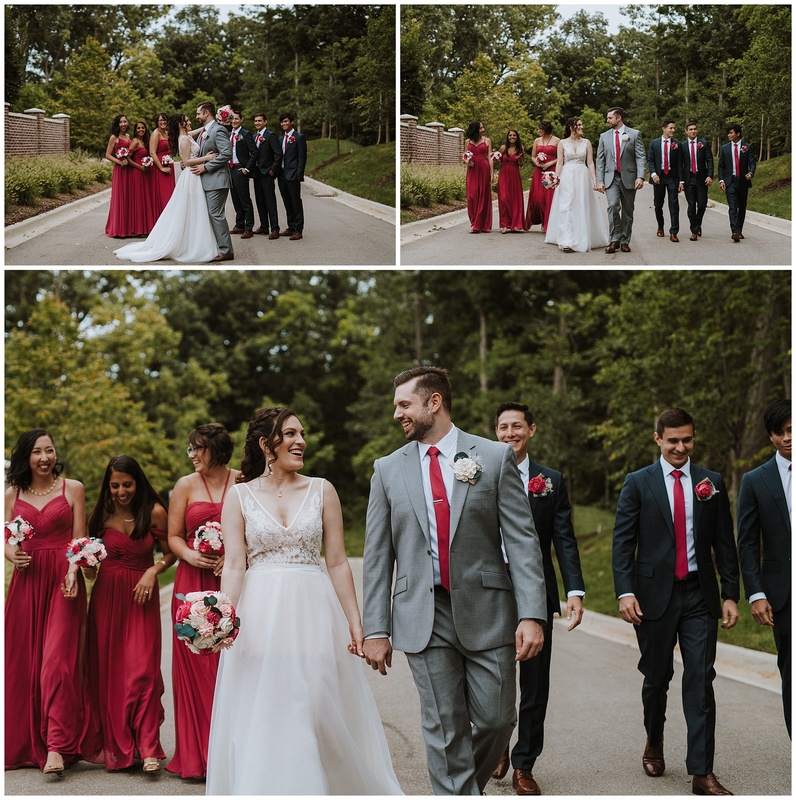 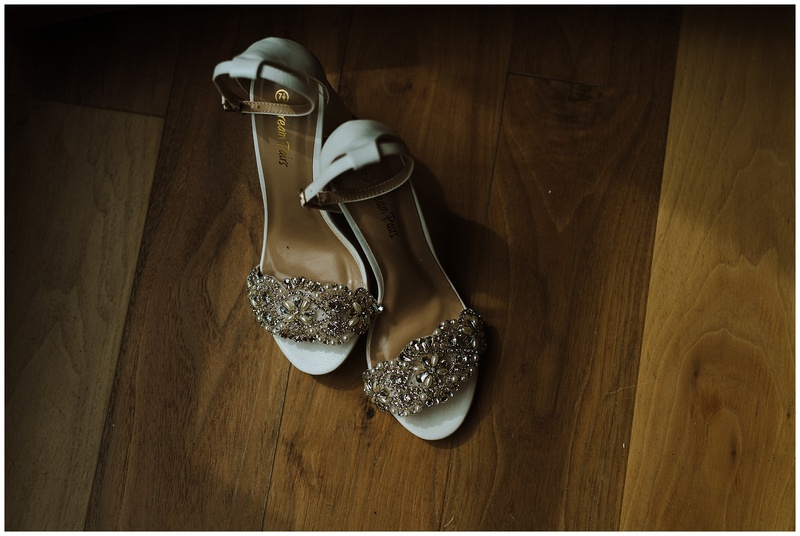 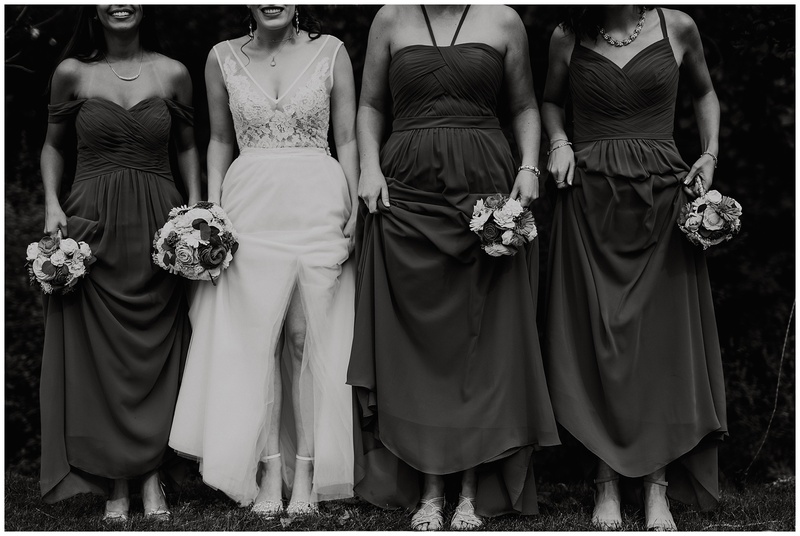 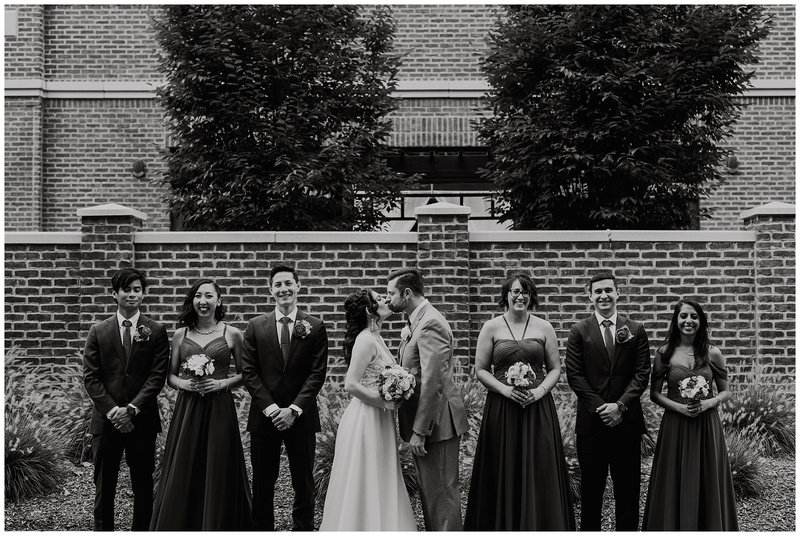 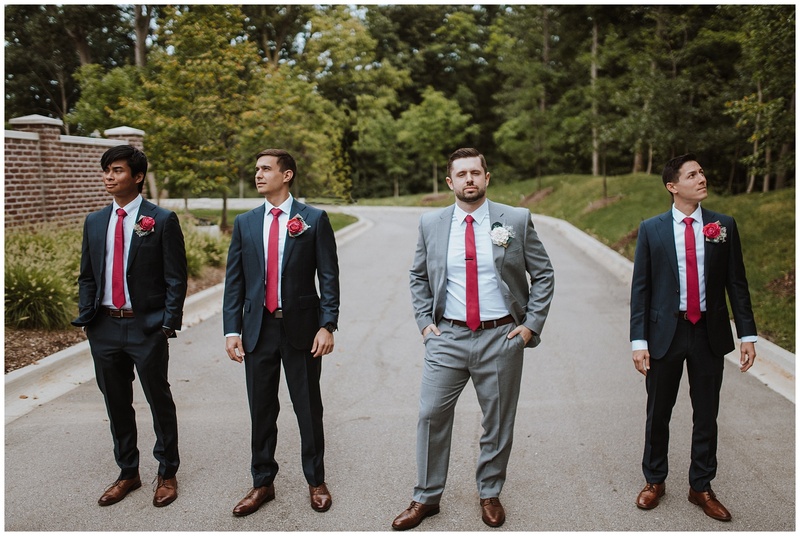 We followed the first look with bridal party photos. 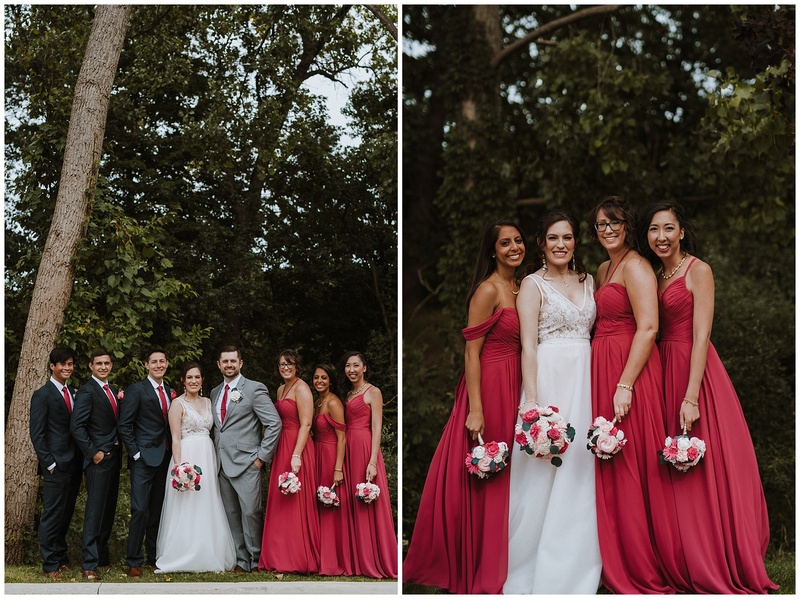 They kept it on the smaller side with their bridal party (maybe a trend with my recent couples?). 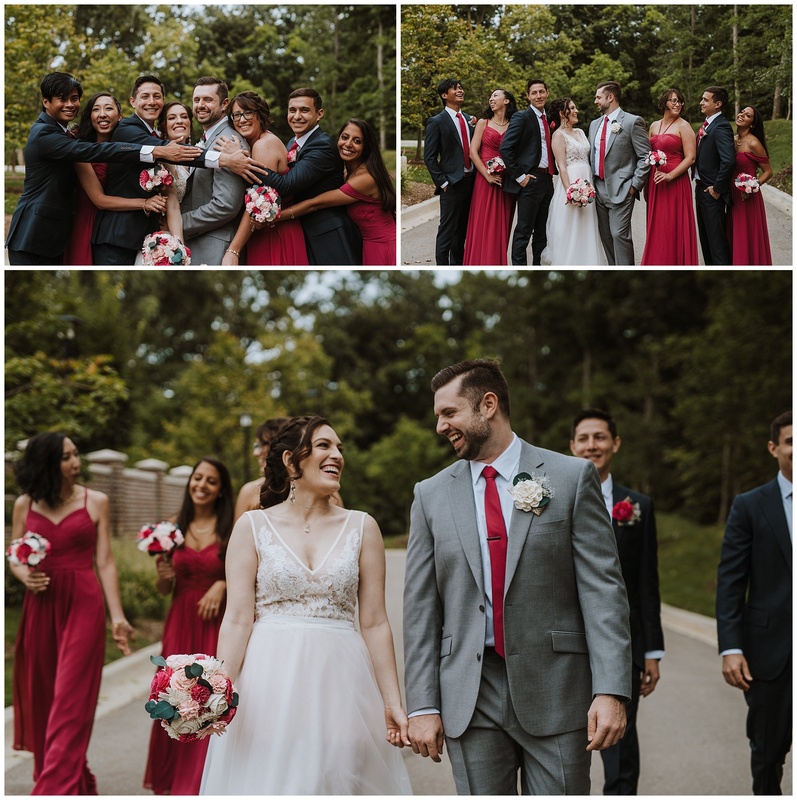 They were all so fun and kept the energy up for photos. 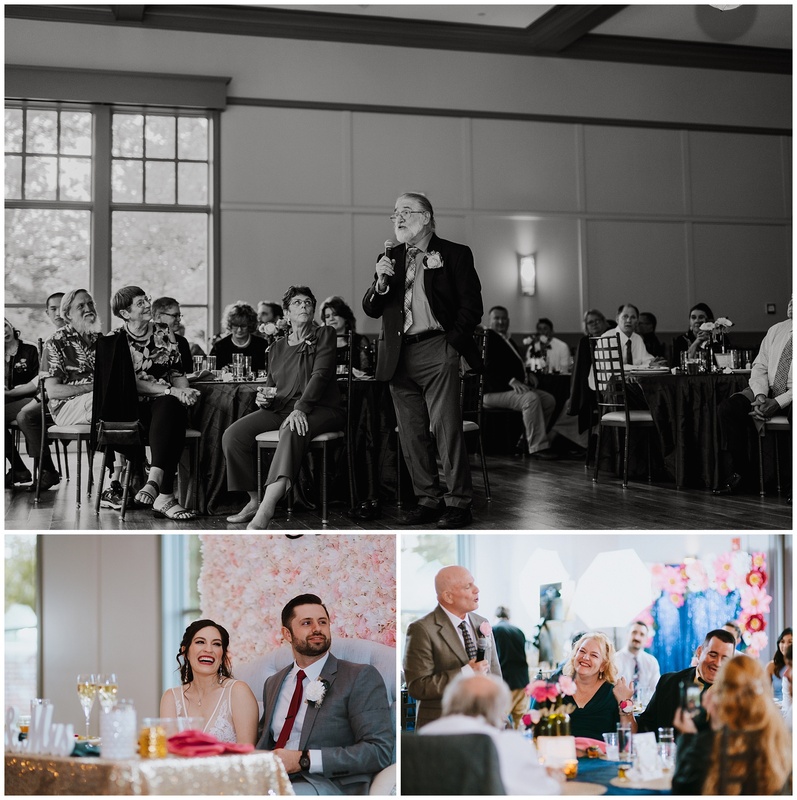 It’s always great to have a party that will go along with whatever you say. 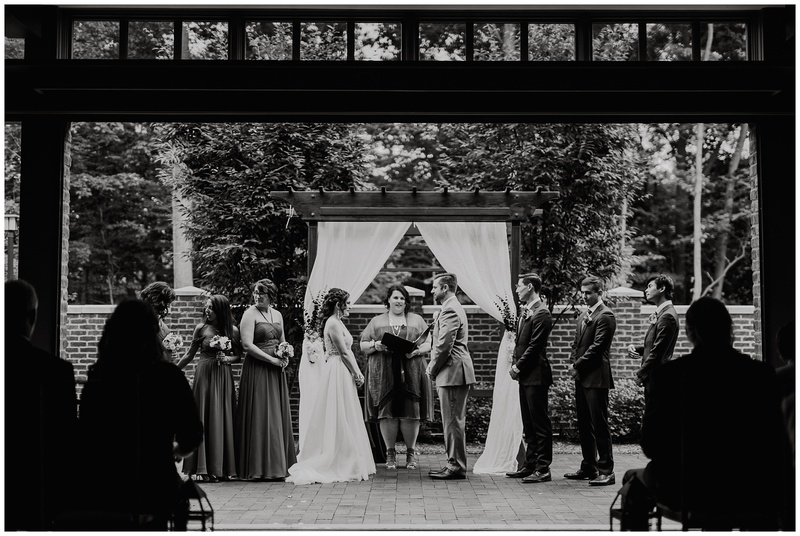 The ceremony, held in the ceremony space at Noah’s, was officiated by Jim’s sister Kate, who did a fabulous job. 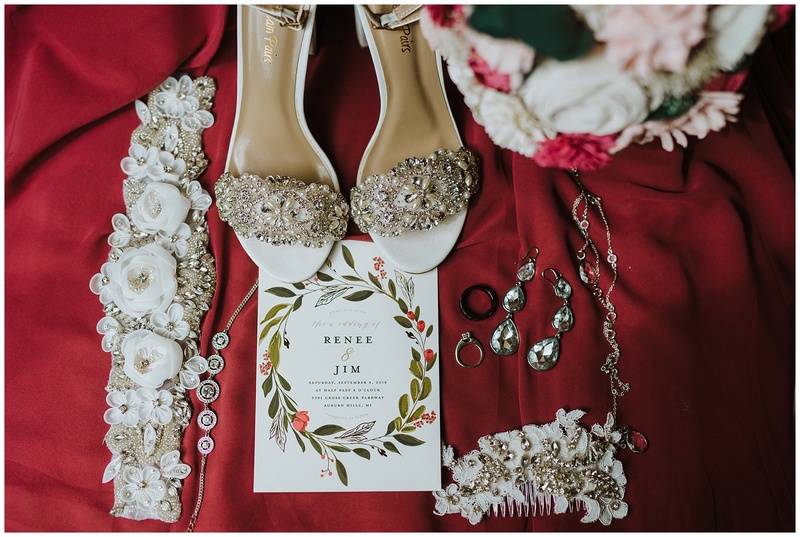 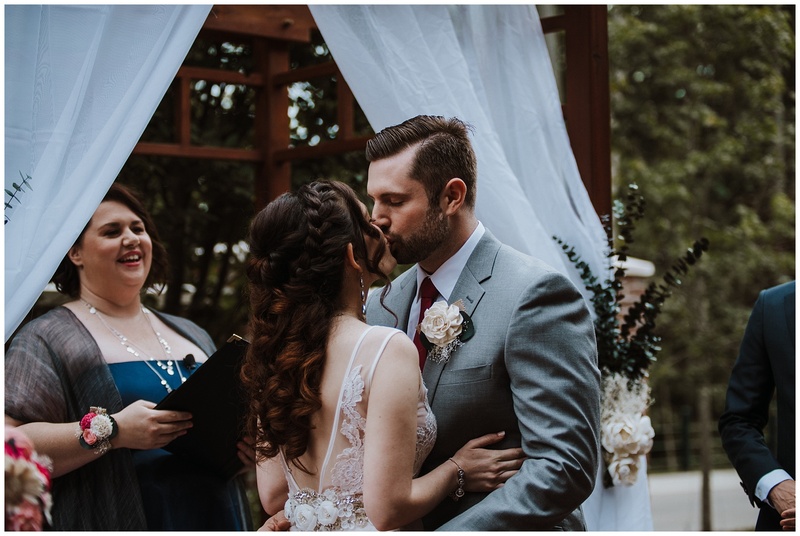 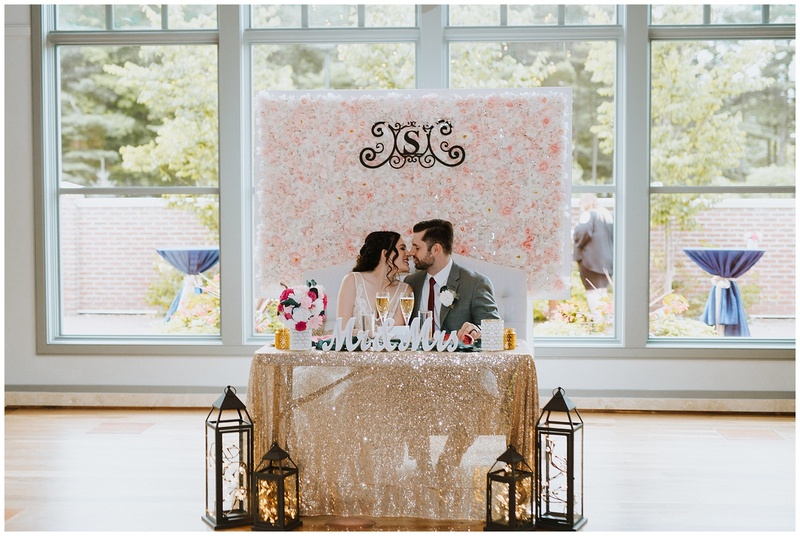 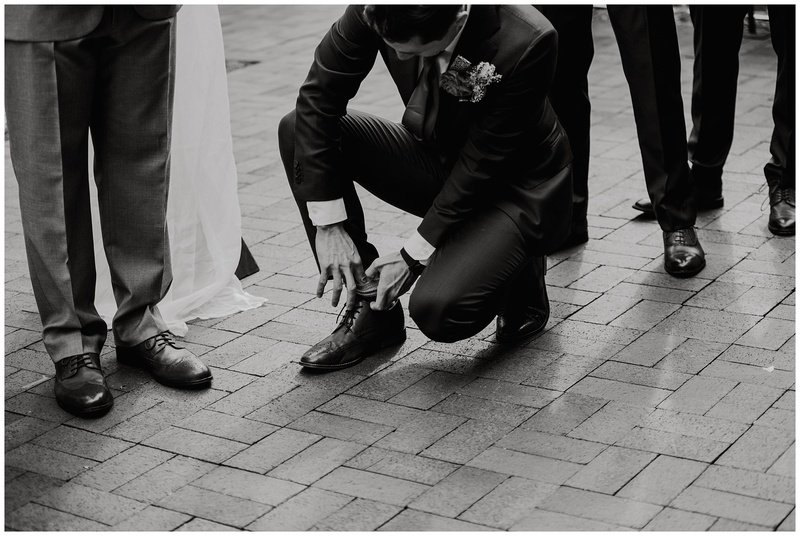 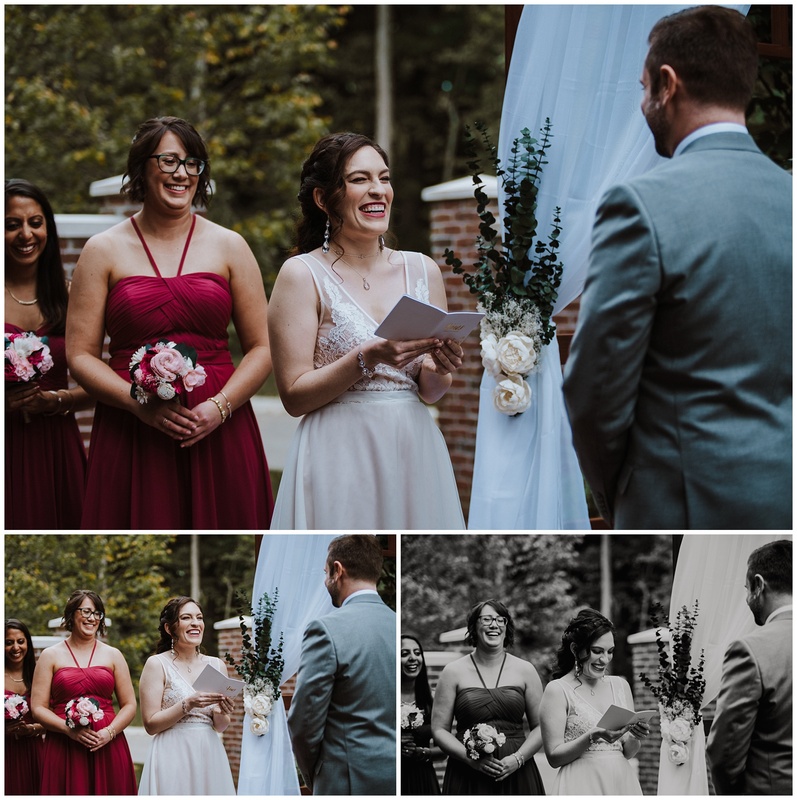 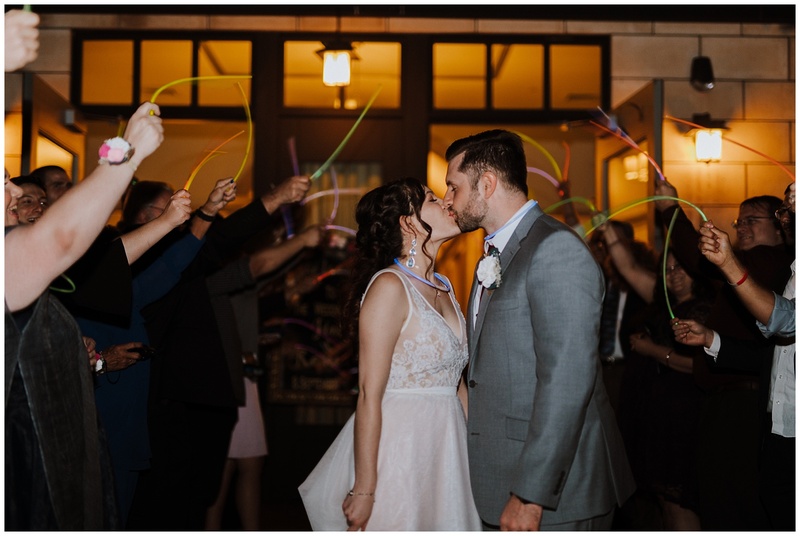 I love it when couples include personal elements in their ceremony, especially their vows! 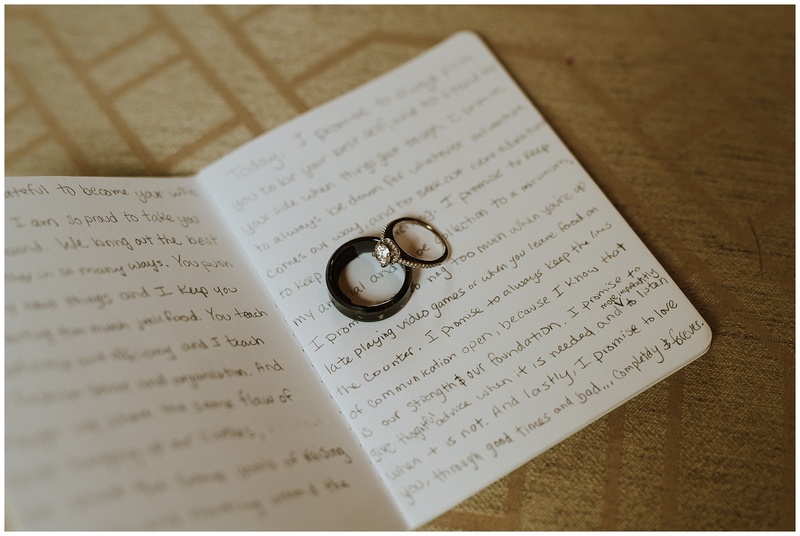 Jim and Renee wrote their own and they were so beautiful to hear. 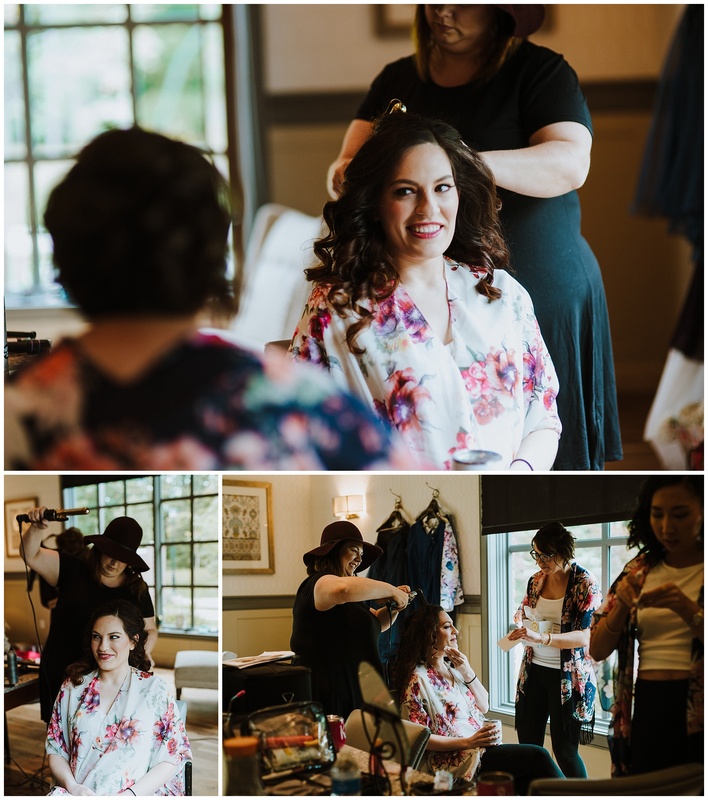 Leading up to the ceremony, Renee was practicing them while getting ready and she did a wonderful job with the delivery. 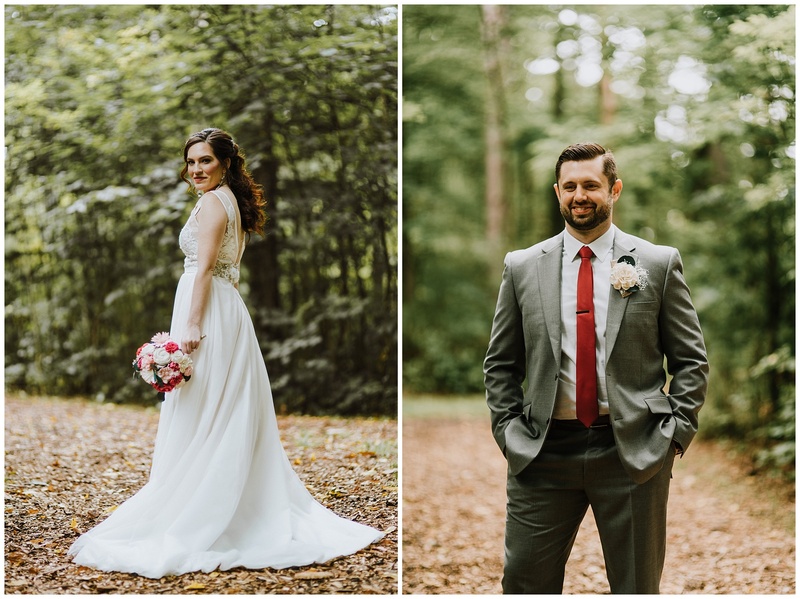 After family photos, I got to sneak Jim and Renee off for some bridal portraits. 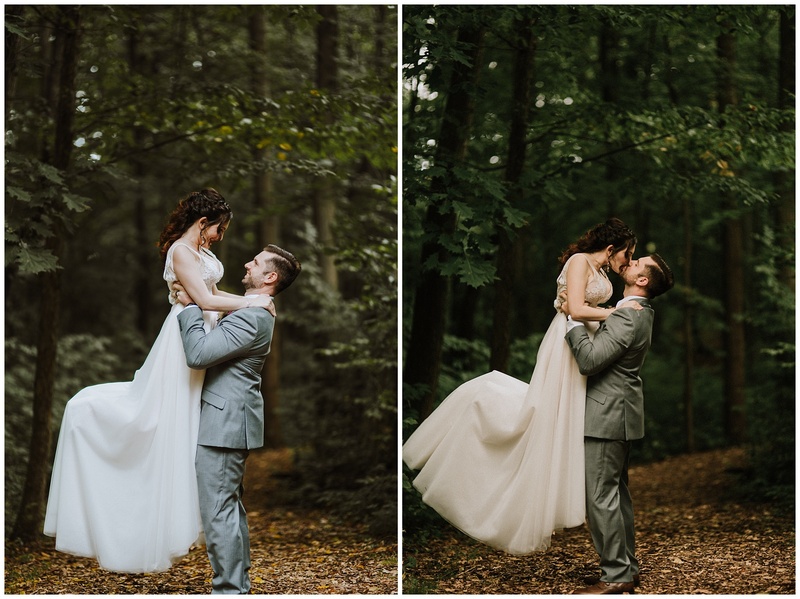 These two are just stunning. 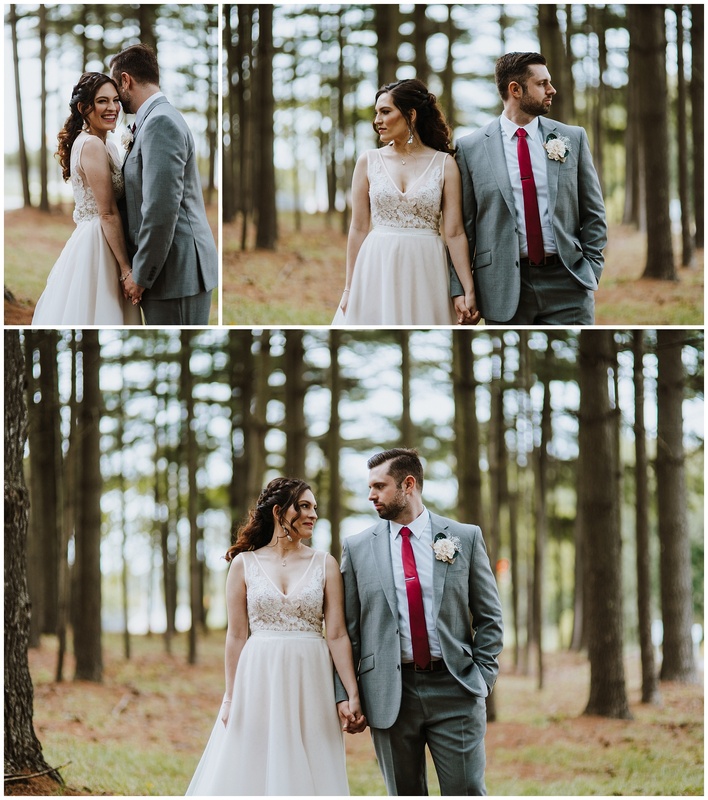 I had never photographed them before, which always makes me a little nervous, but they trusted me and my vision. 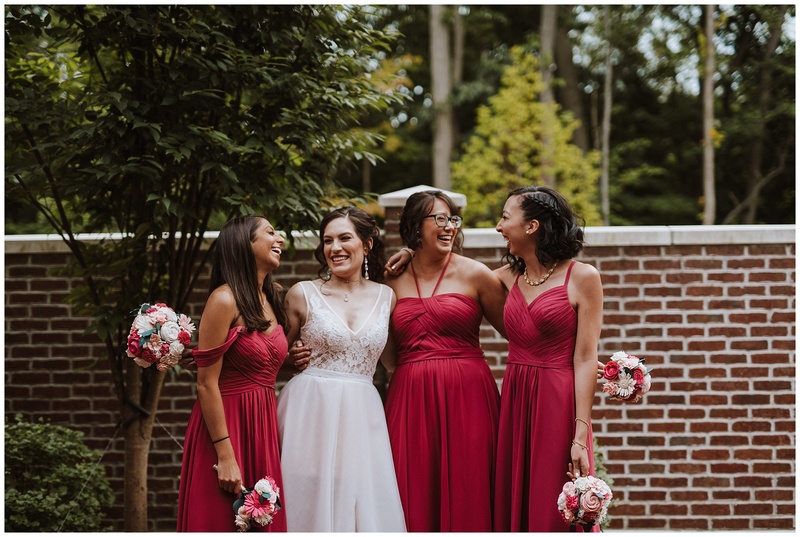 Spending time with just each other (and me!) 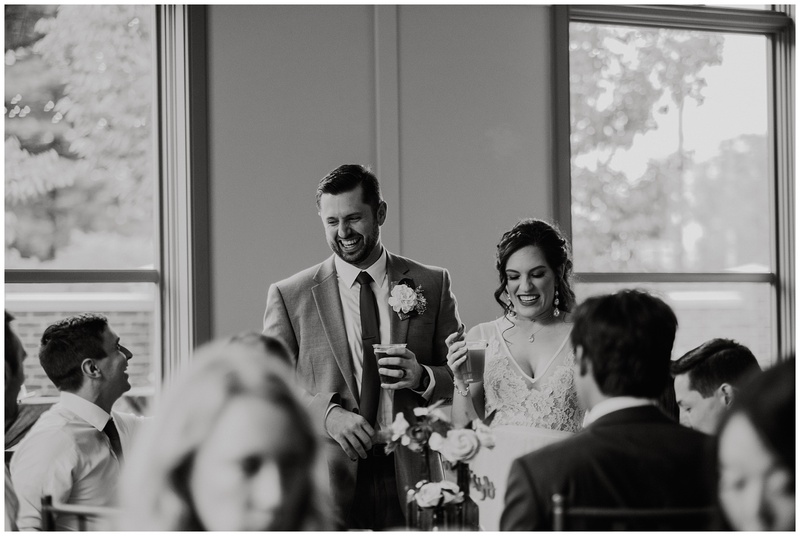 the day of your wedding is such a treat. 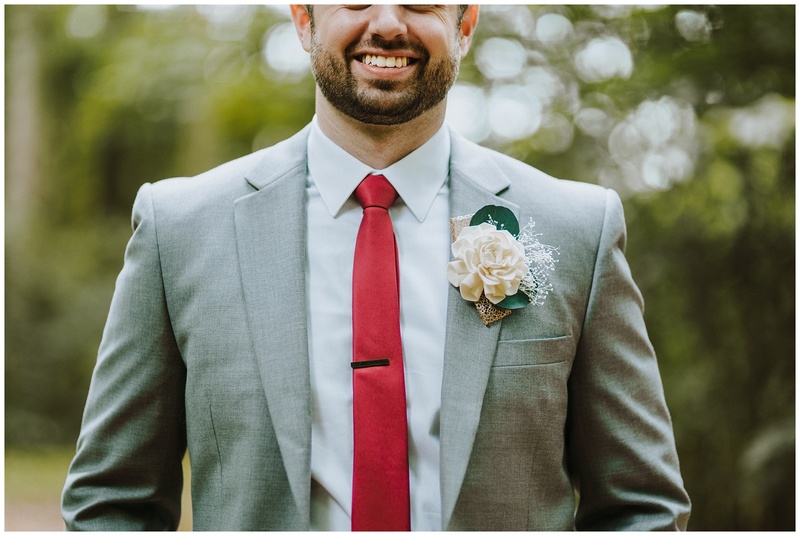 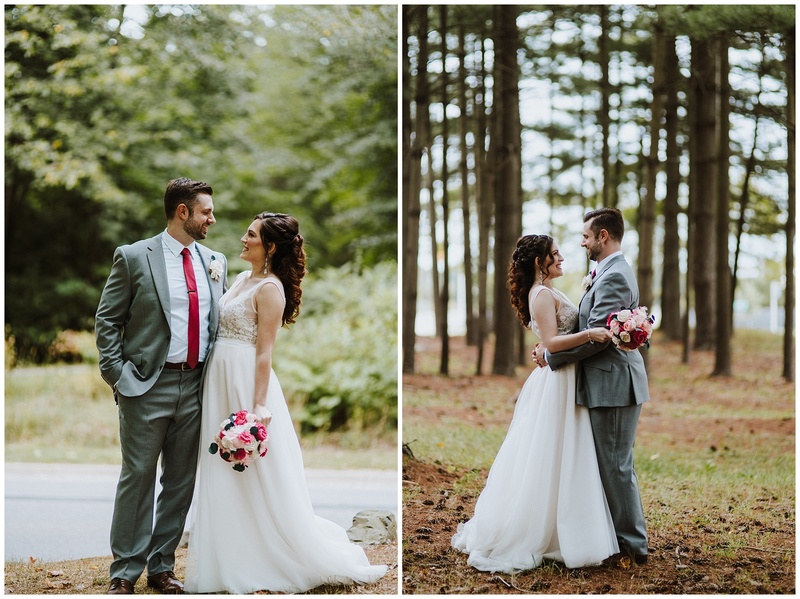 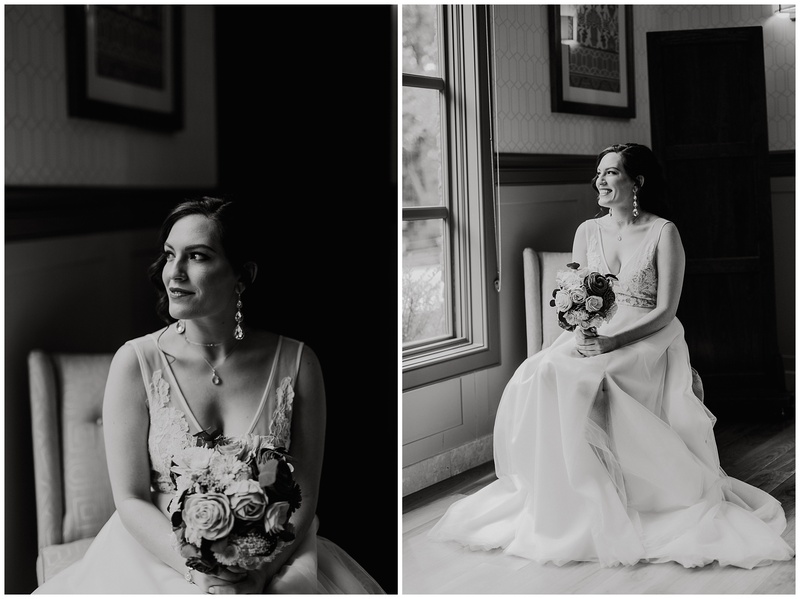 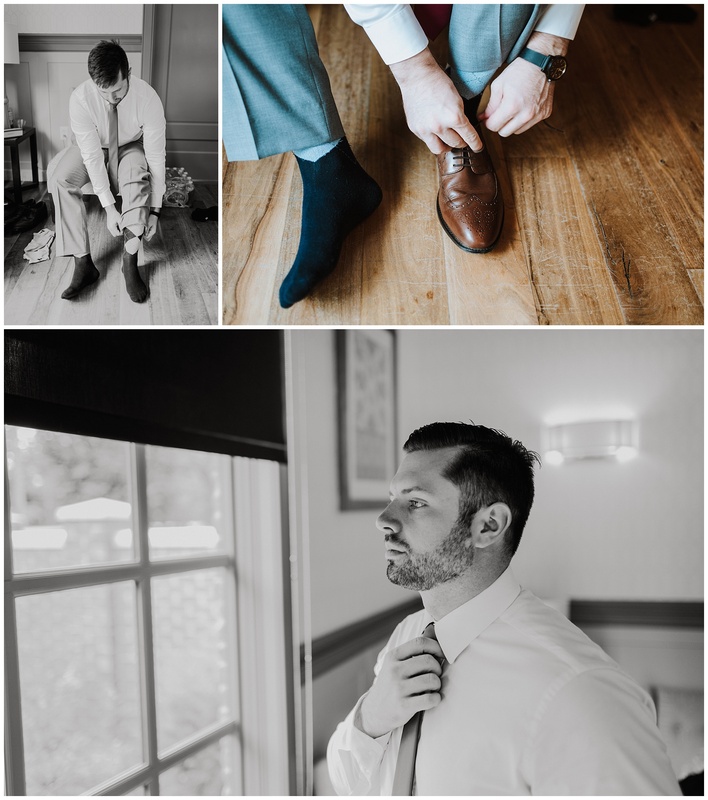 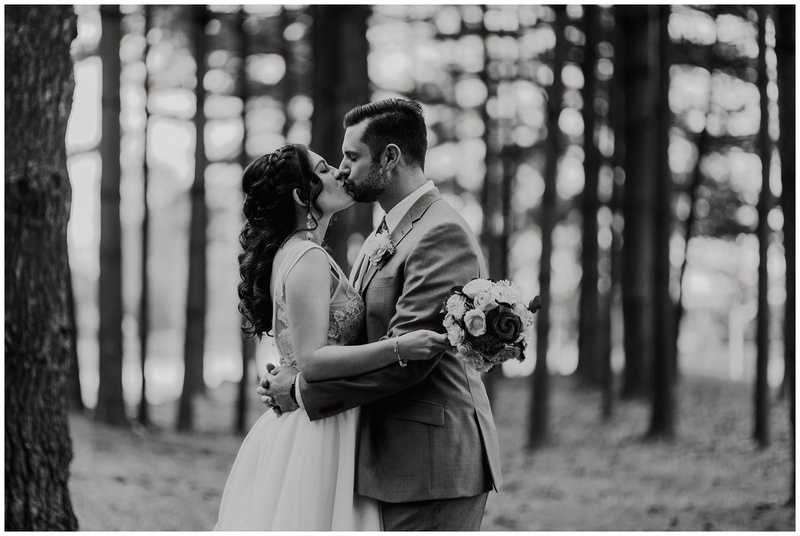 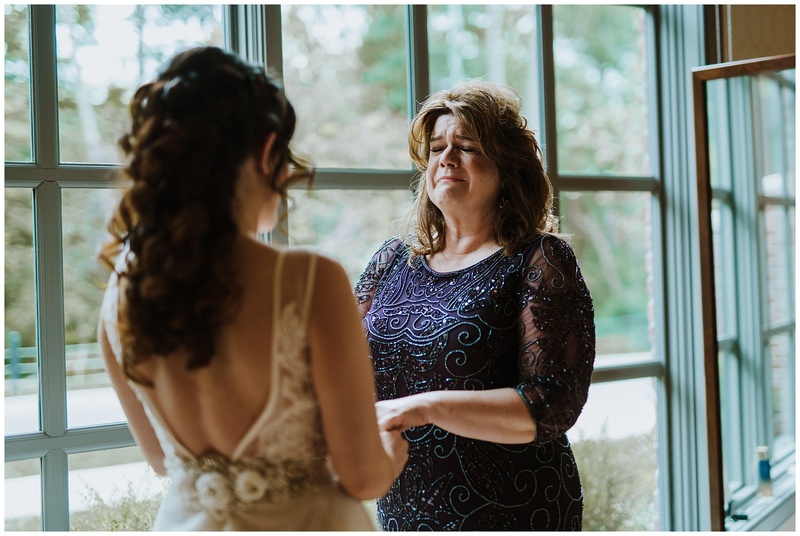 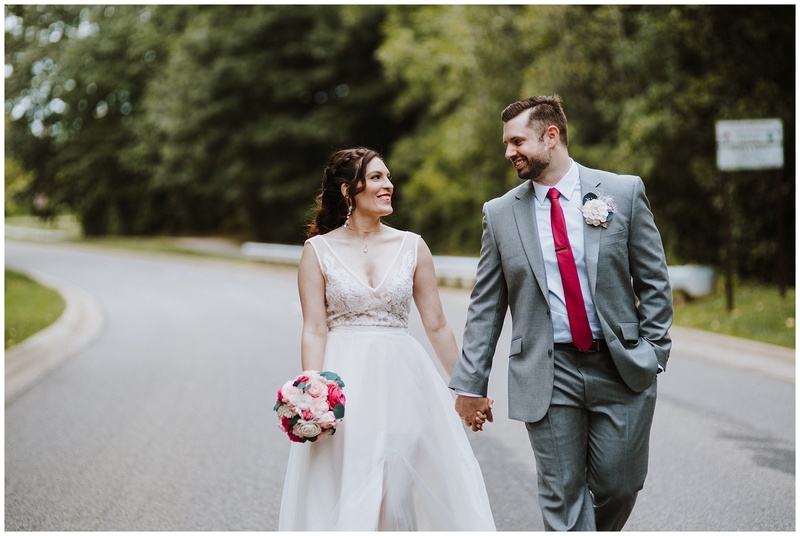 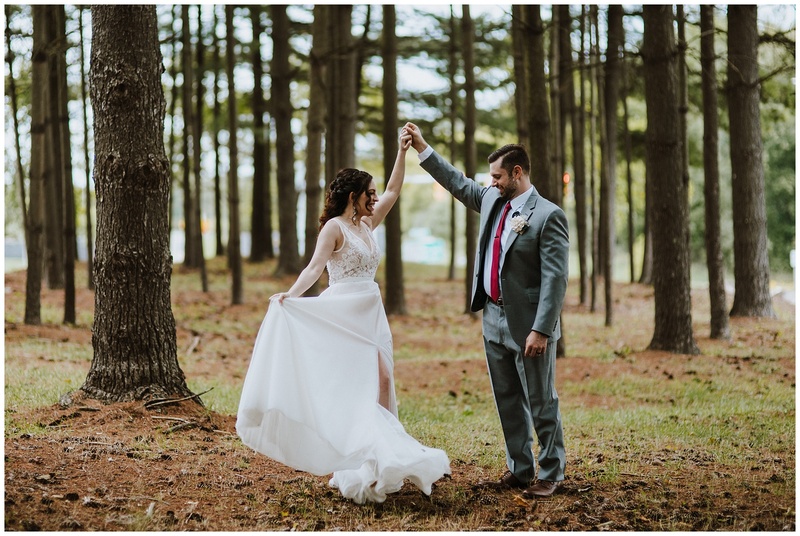 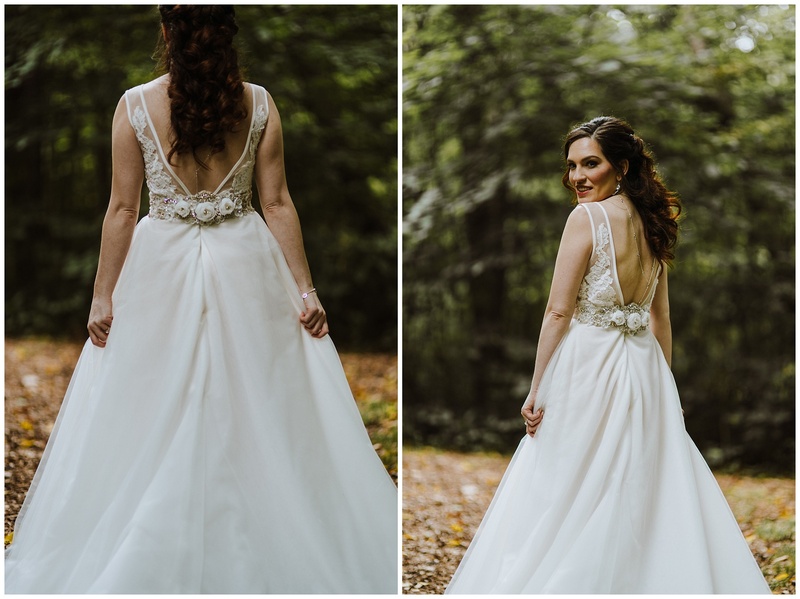 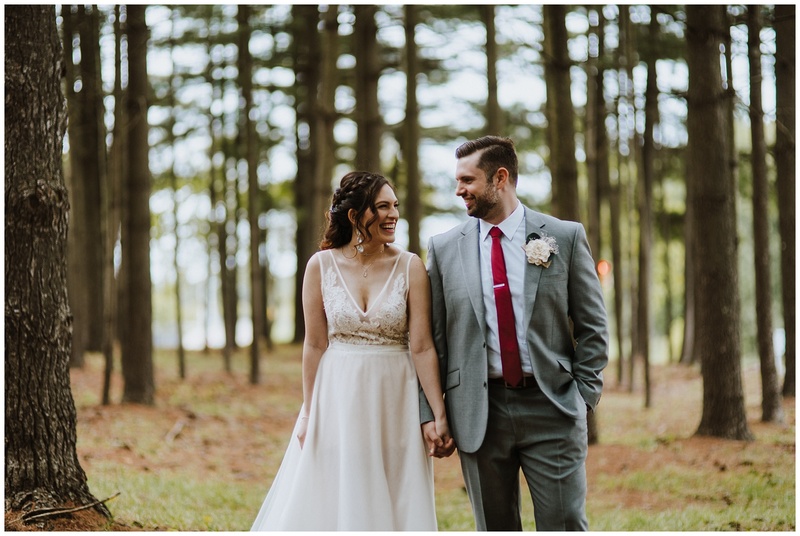 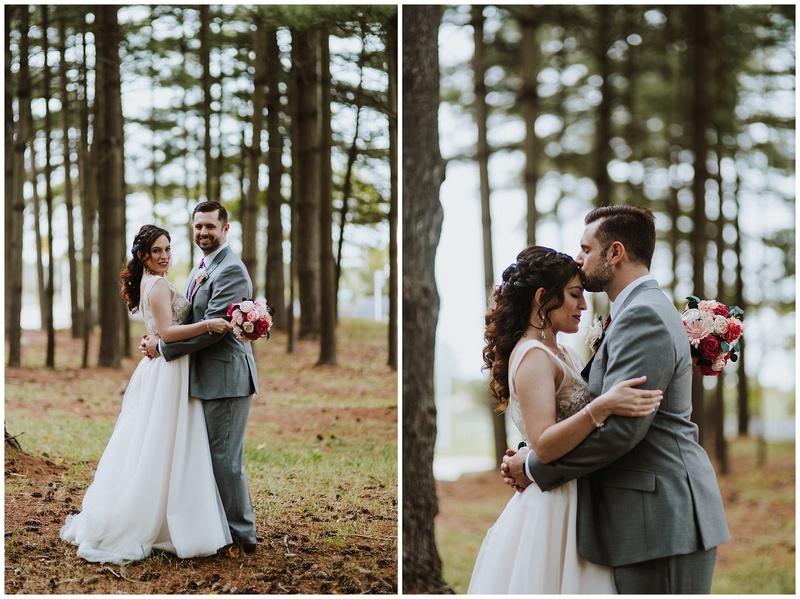 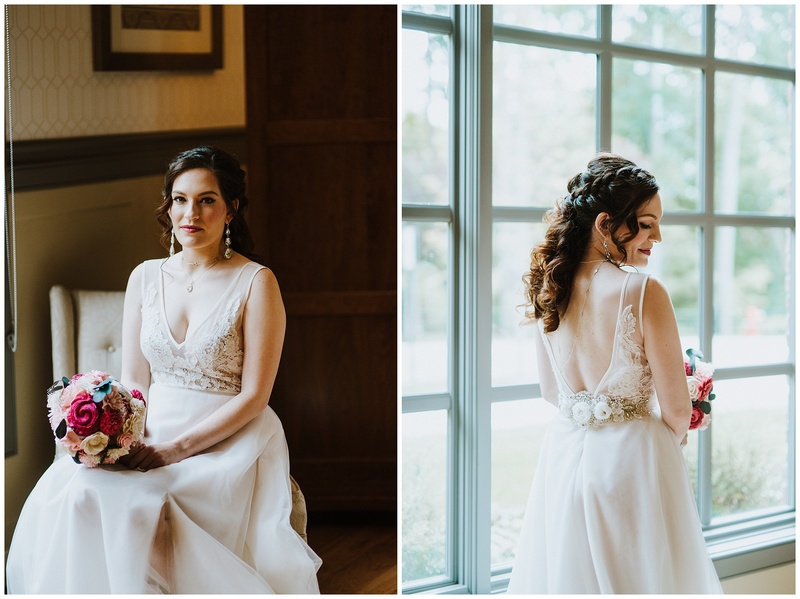 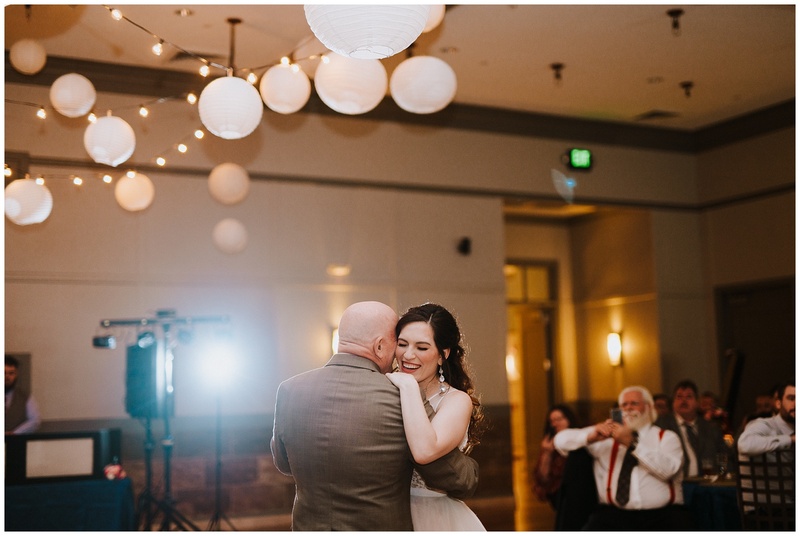 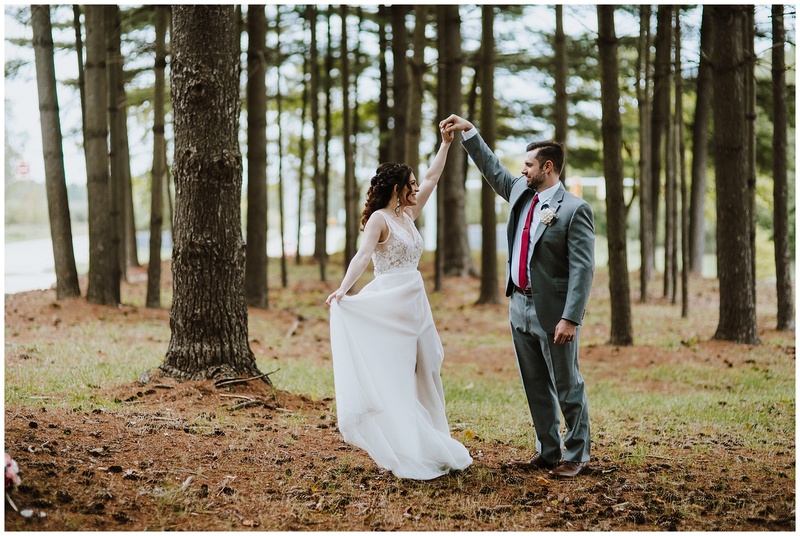 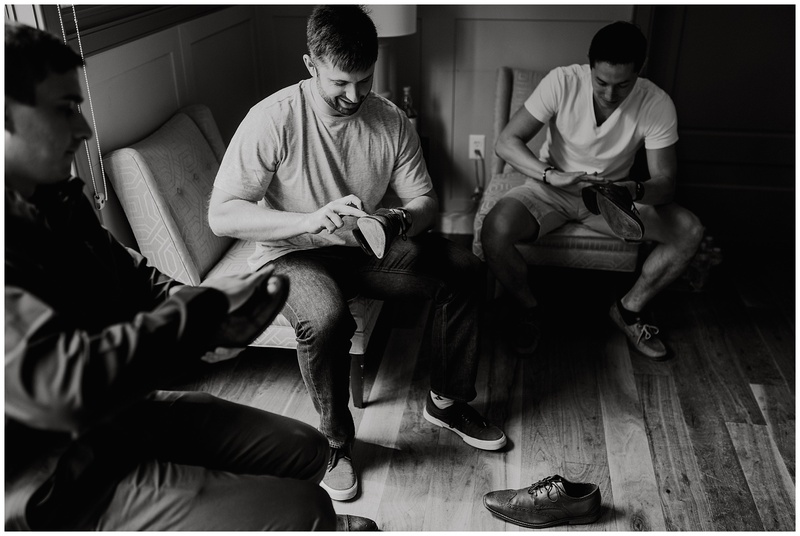 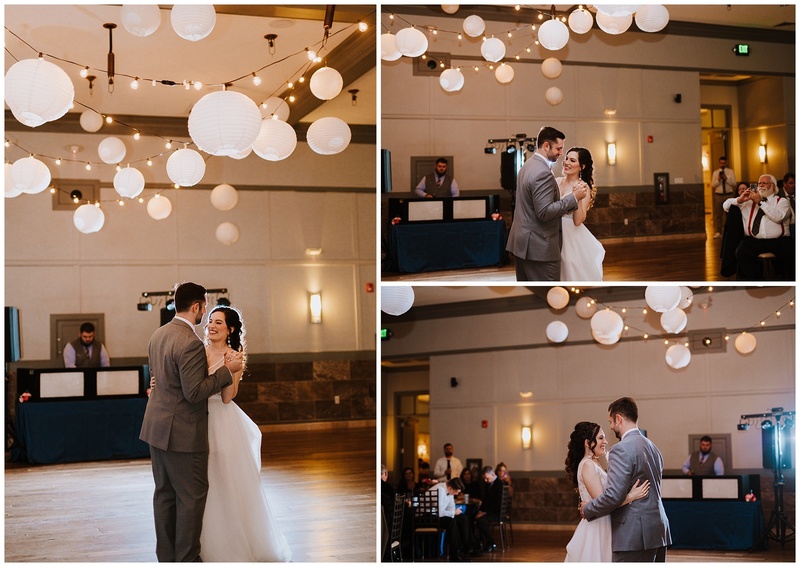 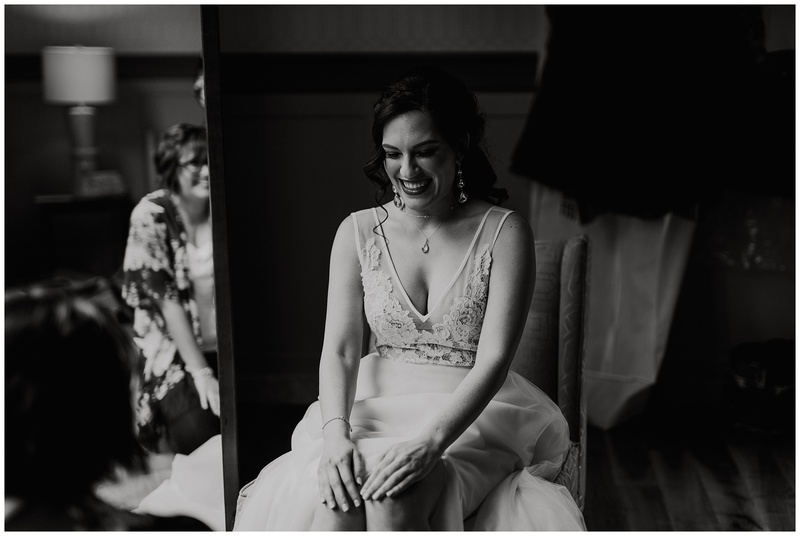 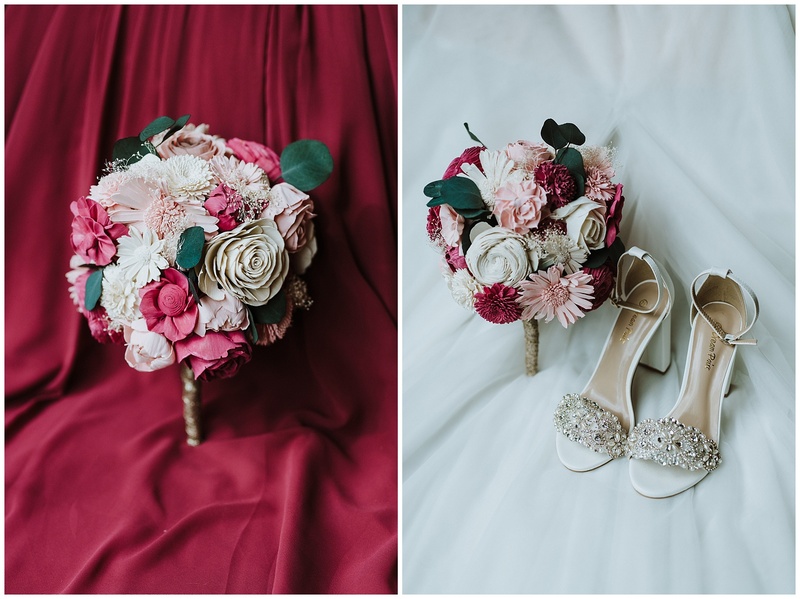 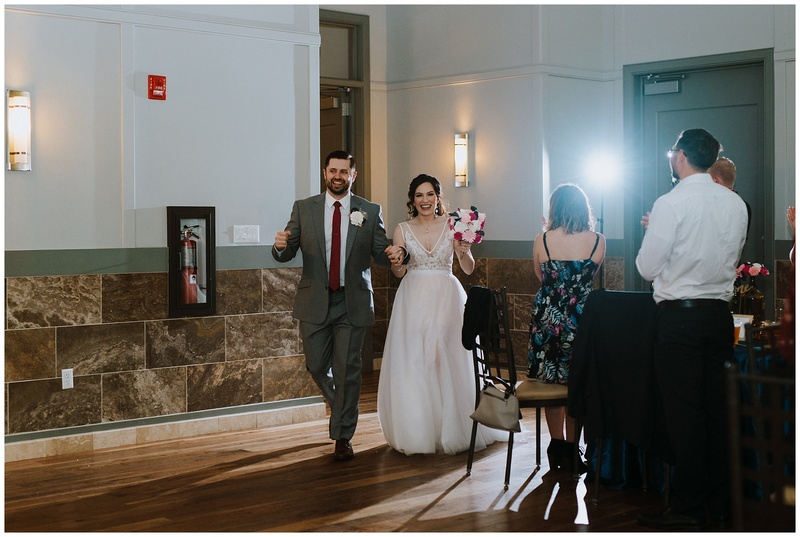 Because of the first look we planned, we were able to have ample time to create some beautiful portraits and for these two to spend a few minutes alone before the reception. 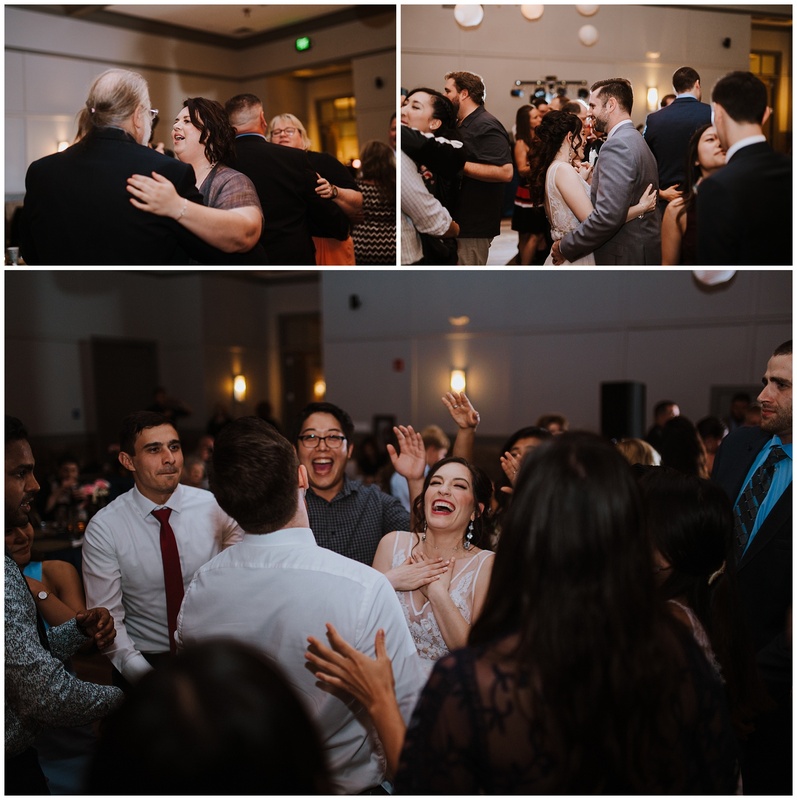 After a delicious meal from Glass House Catering, the salmon was soooo good, the party started! 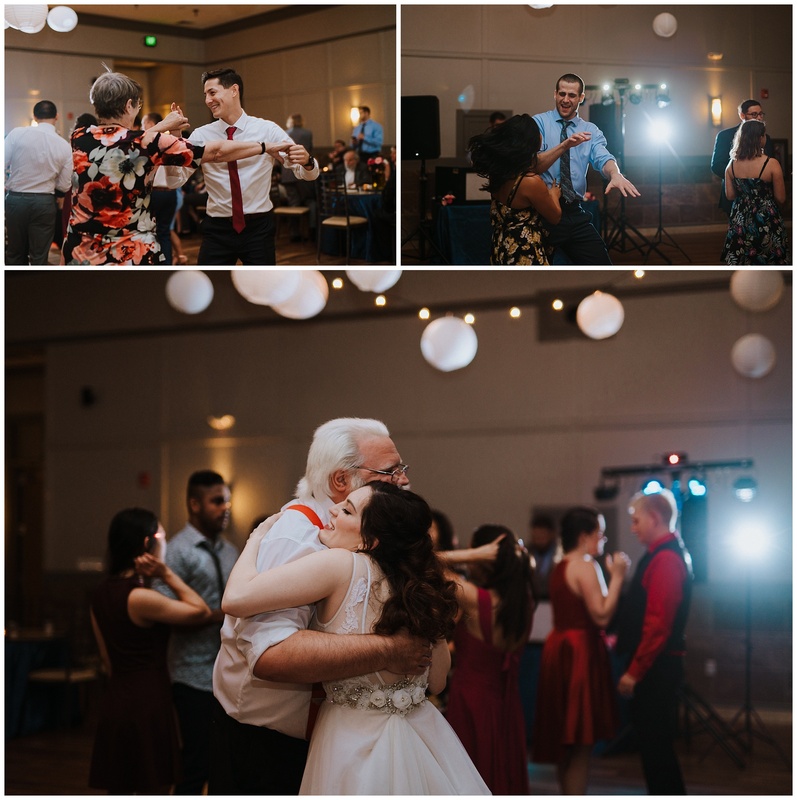 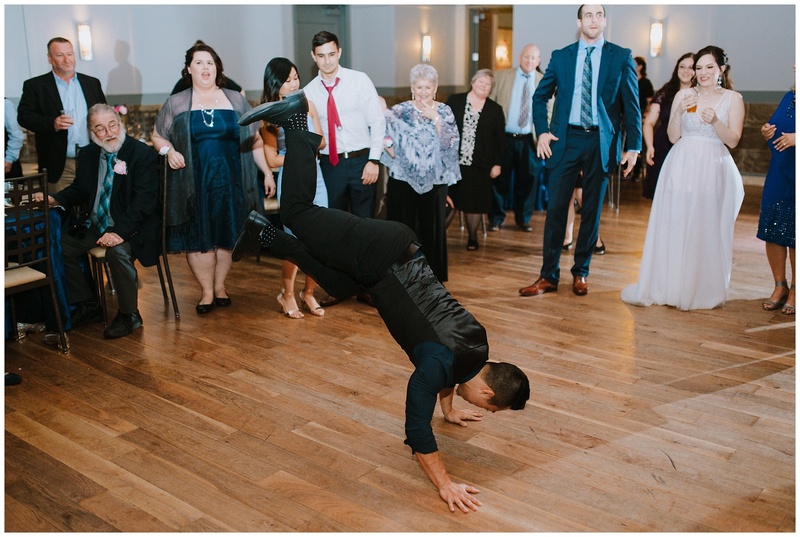 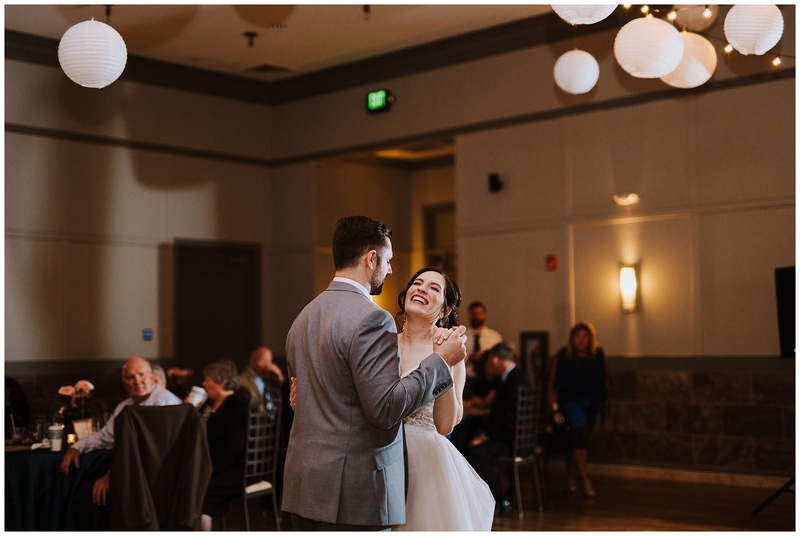 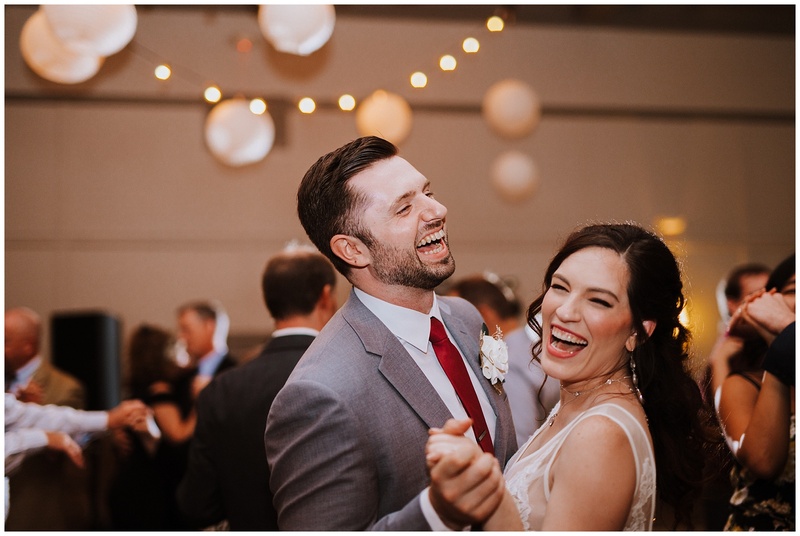 Some of my favorite dancing moments of the year thus far was at this wedding! 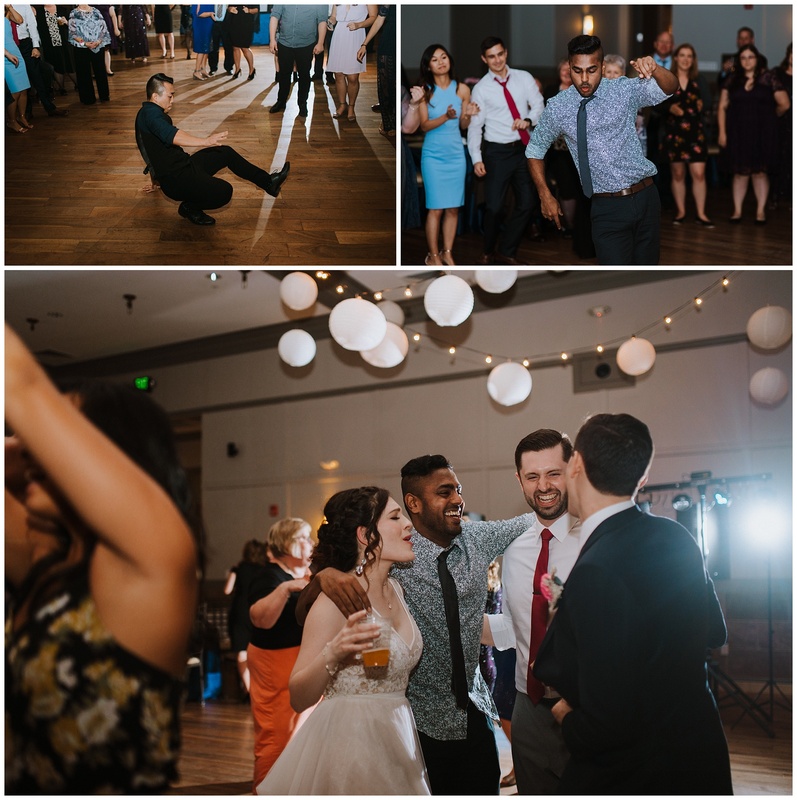 DJ Jason from Bee Entertainment kept the party going all night long with a great mix of music. 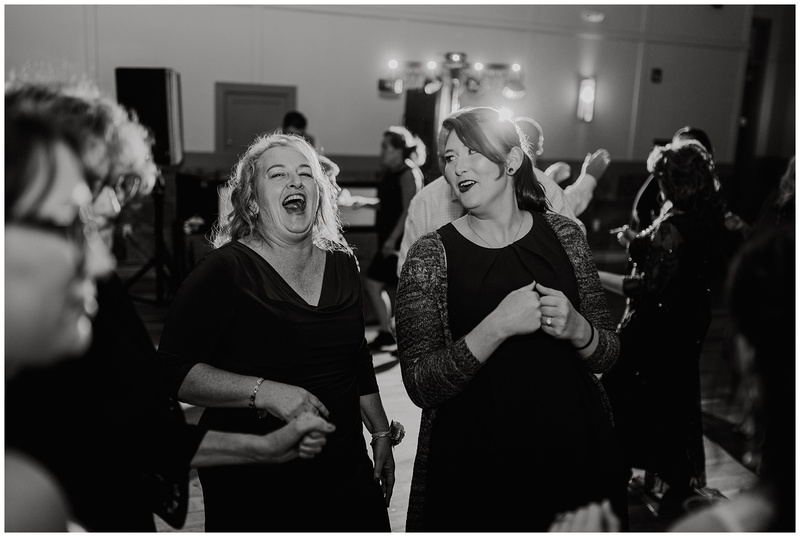 Renee and Jim’s friends are DANCERS. 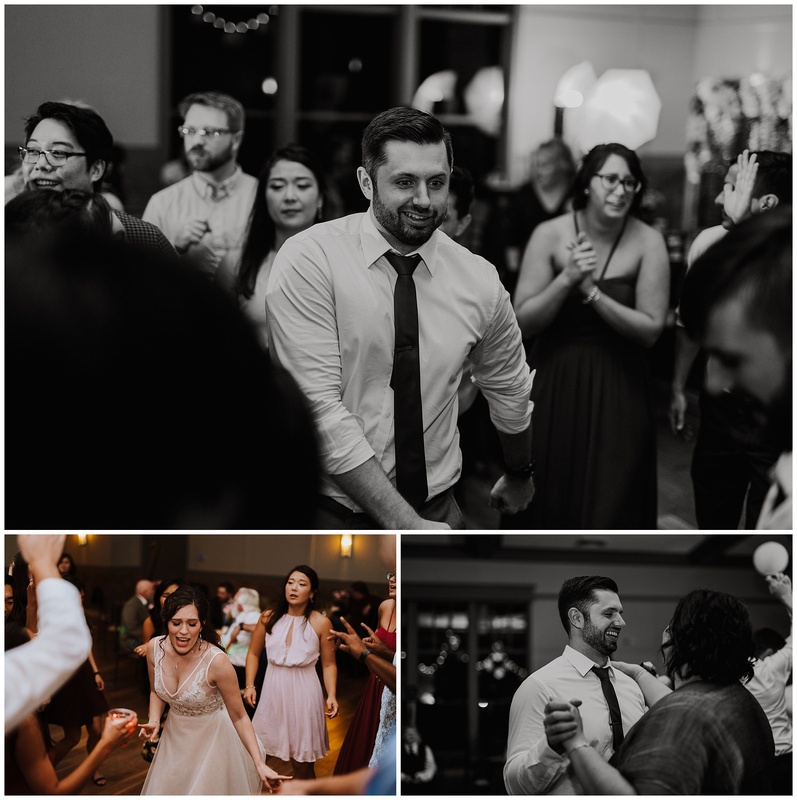 Literally the dance floor was packed the whole night until the glow stick send-off. 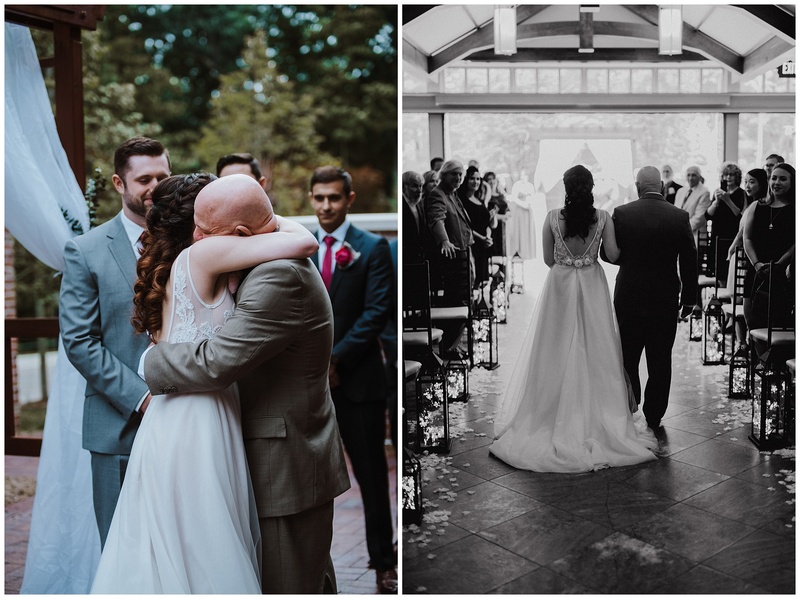 I loved photographing this wedding at Noah’s Event Venue Auburn Hills and am so lucky to have been a part of such a lovely day alongside Renee and Jim’s family and friends. 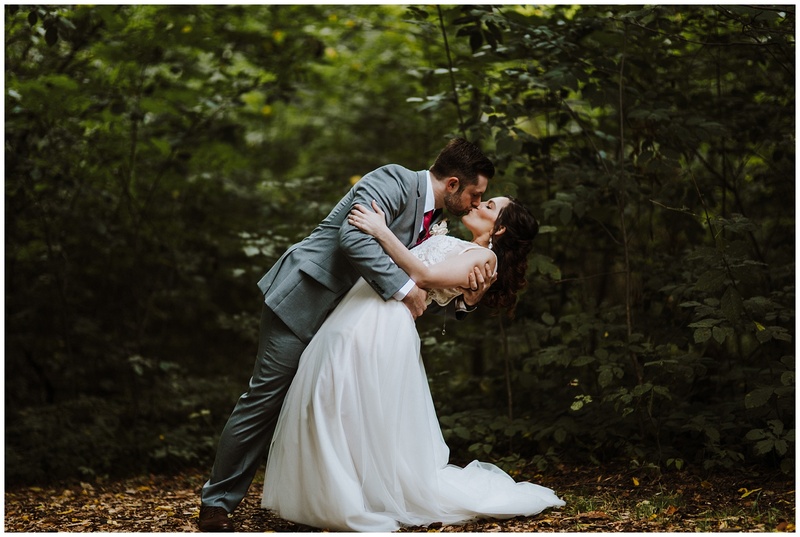 Wishing you two all the best in married life!